Through his writing, Mackenzie became an enemy of the English elite and a friend of the common man. In January 1829, Mackenzie won a seat in the colonial legislature. Because of his continued criticism of the elites, the legislature voted three times to expel him and each time he returned in the next election. He became the first mayor of the new city of Toronto on March 27, 1834, but lost the 1835 election. In the pages of a new publication, the Constitution, Mackenzie continued to advocate for reform. But he grew increasingly impatient and uncompromising. On December 4 to 7, 1837, Mackenzie and other rebel leaders revolted and made several ineffectual and uncoordinated attacks along the northern edge of Toronto. They dithered too long near John Montgomery's tavern, thus allowing time for militia recruits to arrive from many points in the colony (including John A. Macdonald, 23, the future first Prime Minister of Canada). The militia routed the rebels December 7 and burned Montgomery's Tavern. The entire Upper Canada rebellion lasted less than one week. 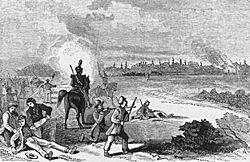 The rebels had three dead and five wounded. The militia had one dead and five wounded. Mackenzie fled with a price on his head. His arrest notice in the Upper Canada Herald December 19, 1837—offering £1000 for his capture—described him as five-foot-four or five, wearing a sandy wig, with "small, twinkling eyes that can look no man in the face." Mackenzie, other rebel leaders, and about 200 supporters escaped to the U.S. A few leaders were captured and hanged. Mackenzie arrived in Buffalo, NY, December 11 and began rallying Canadian refugees and sympathetic Americans to his cause—the overthrow of British rule in Canada. Hundreds answered the call. He appointed generals and other senior officers and set in motion several invasion of Canada. Aside: A month before Mackenzie marched on Toronto, rebellion broke out in Lower Canada (Quebec) for similar reasons. Mackenzie played a small and short role in the Canadian Refugee Relief Association, established at Lockport, New York, in March 1838. The inaugural meeting included Patriot notables Donald McLeod, Dr. Charles Duncombe, Samuel Chandler, Silas Fletcher, and Dr. Alexander McKenzie (who became the CRRA president). Mackenzie soon lost control of the Patriot movement he initiated, partly because other leaders didn't trust him. As historian John Charles Dent put it, "his discretion was not to be depended upon"; that is, he was a blabbermouth. Other Patriot leaders and a secret society, called the Hunters or Patriot Hunters, took control. Relegated to the sidelines (or preferring to be there), Mackenzie continued publishing his polemics when his funds allowed but became increasingly irrelevant. He spent 11 months in prison (1839-1840) for breaking the US neutrality law. In February 1849, Canada pardoned Mackenzie and other rebel exiles. He returned to Toronto and spent seven years, 1851-1858, as a member of the colonial legislature. Though the Family Compact was gone and many reforms enacted, he never stopped demanding equality for all and an end to favoritism. Aside: Mackenzie's grandson, William Lyon Mackenzie King, served as Canada's 10th and longest sitting prime minister. His terms in office covered parts of the Great Depression and World War II. 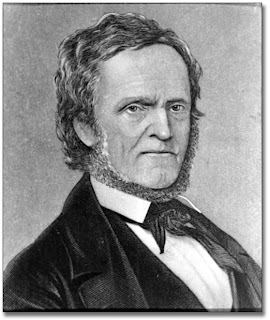 Biographers and historians have written reams about William Lyon Mackenzie. My favorite is aptly named "The Firebrand" by William Kilbourn. Also recommended is "The Life and Times of William Lyon Mackenzie," 1862 by his son-in-law Charles Lindsey. For a short bio, see Wikipedia. Your blog stands out in the crowd. Digging the history and writing commentary on the historic happenings is something unique. I wonder how you manage to pool somuch. Very useful postings for history enthusiasts. Keep up the great talent and your great hobbies. Happy living. Very glad to know of your blog. Cheers. Thanks for the upbeat comment. I'm trying to strip history of its stuffy pretensions and make it fun.